I’m quite pleased to share that our Sunday Family Dinners have been going swimmingly well. And what’s fun is that we’ve adopted some international themes for each dinner—the last inspired by Latin flavors. It was a memorable afternoon/evening where everyone had a hand in creating our delicioso menu. My contribution this time around were fresh margaritas (no pre-bottled stuff here!) 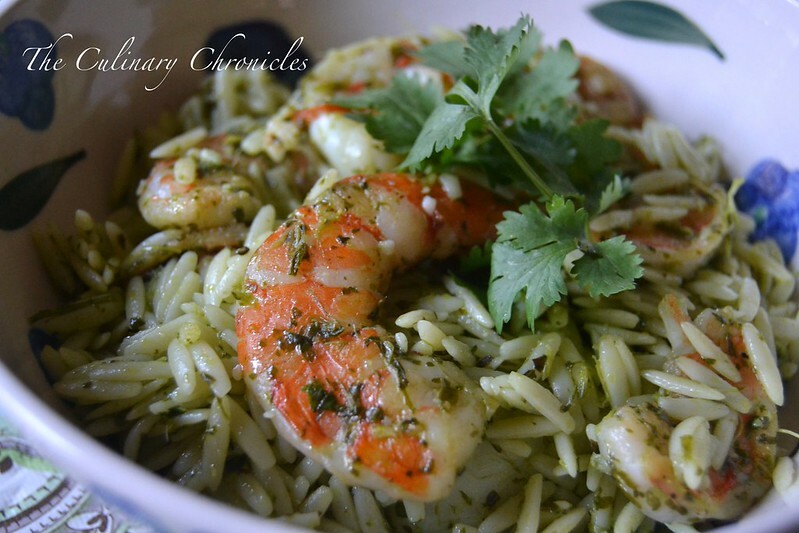 and a huge bowl of Grilled Shrimp with Chimichurri Orzo. I’m pretty obsessed with Chimichurri Sauce –full of bright herbs and citrus flavors. I usually drizzle it over grilled skirt steak but I’ve been known to stir a spoonful of it into scrambled eggs or as a spread in sandwiches in lieu of pesto. 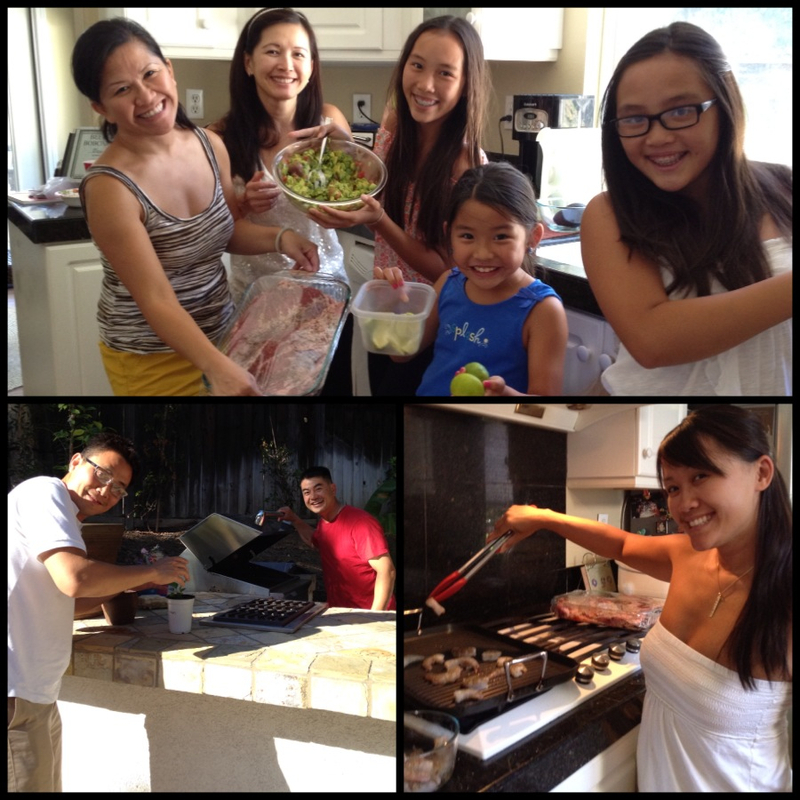 Stay tuned for our upcoming Family Dinner where we will venture to Europe! Season the shrimp with salt and pepper and set aside. Bring a grill pan to medium high heat. Cover the pan with cooking spray and grill the shrimp about 1-2 minutes per side. Transfer the shrimp to a plate and set aside. Bring a large pot of salted water to a boil. Cook the orzo until al dente, about 8-10 minutes. Drain well. 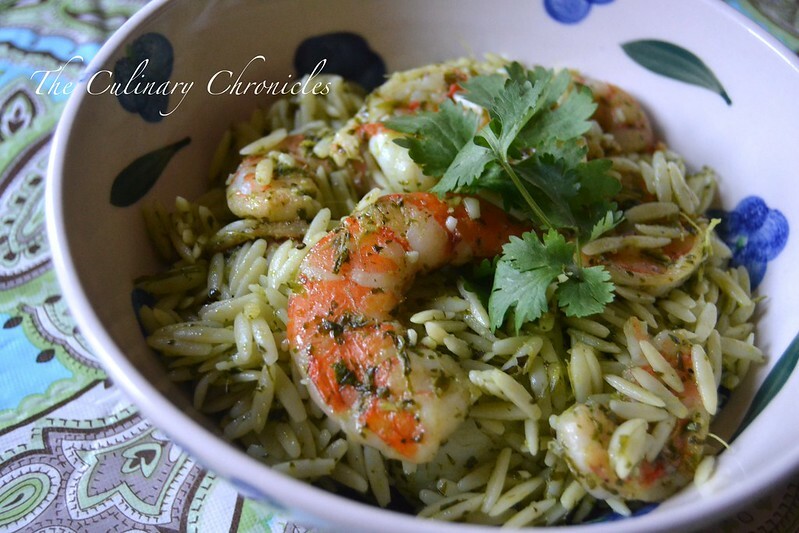 In a large bowl, toss together the orzo, shrimp and ½ cup of the Chimichurri Sauce at a time. (Add additional sauce as needed.) Plate and garnish with additional cilantro. Yum – that looks delicious and an interesting combination.